Have you ever wondered how the Swans did on a particular date in history or were just curious as to which league or competition they played in? Maybe you’d even like to know when we’ve signed players or when a player celebrates his birthday! Well read on to find out exactly when, who and what the Swans did on 18th April. 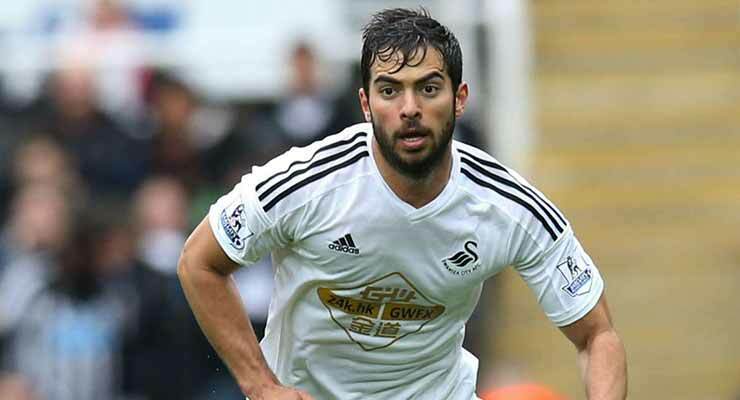 The Swans fell to a 2-0 defeat at Leicester City in the Premier League. It was the Foxes third straight win and they moved off the bottom of the table as a result of beating the Swans, who stayed in 8th place. Current Swansea player Andy King scored the 2nd goal, which consigned Garry Monk’s team to their first defeat in four games. Lee Probert was the referee and he brandished yellow cards to Jordi Amat and Jonjo Shelvey on an instantly forgettable day for the Swans. A rare Garry Monk goal was enough to secure all three Championship points for the Swans against against Bristol City at the Liberty Stadium. The win meant the Roberto Martinez’s men kept their slim play-off hopes alive in front of the 15,327 crowd against the 9th placed Robins. The referee for the game was Lee Mason. The Swans held 2nd in the table Cardiff City to a goalless draw at Ninian Park in Nationwide Football League Division Three. In a typical south Wales derby, an heroic defensive performance from John Hollin’s team meant the 8th placed Swans shared the local bragging rights with their bitter rivals in front of the 10,809 crowd. Cambridge United hammered the Swans 4-1 at the Abbey Stadium in Nationwide Football League Division Three. Despite an early goal from Tony Bird, the Swans were no match for a rampant U’s side who took full advantage of scorer Bird’s red card after a moment of madness throwing mud at one of the officials! It was the Swans 9th red card in a season when they were on their third manager in Alan Cork. The referee that day was none other than Mike Dean. A 11th minute goal from Jimmy Gilligan was enough to see the Swans progress to the Allbright Bitter Welsh Cup Final after a 3-2 aggregate win over Barry Town at the Vetch Field. The 2,169 crowd were treated to a drab 2nd leg affair after an entertaining draw in the 1st leg at Barry a few weeks earlier. 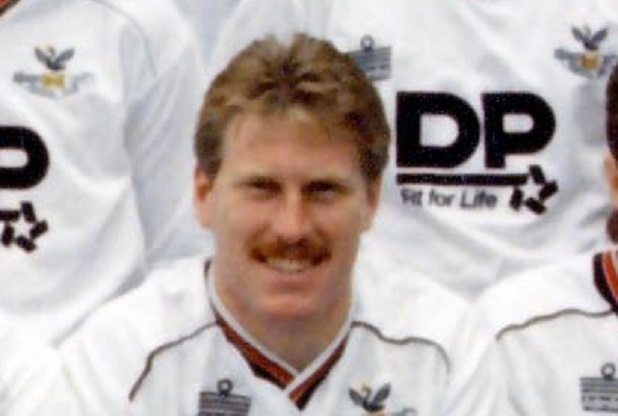 Paul Raynor scored the first hat-trick of his career as the Ian Evans’ Swans beat Barry Town 3-1 at the Vetch Field in the Welsh Cup Semi-Final 2nd leg. The Swans progressed to the final win a 4-1 aggregate win, having won the first leg at Ninian Park a week earlier by a goal to nil. The Swans drew 2-2 at Exeter City in Today League Division Four. Colin Pascoe and Paul Raynor scored for Terry Yorath’s side, who moved up to 9th place in the table. Promotion chasing Swansea were held to a 1-1 draw at the Vetch Field by Cardiff City in the Football League Second Division. Leighton James scored for the Swans in the first half, as the home side also missed a penalty against their local rivals. Despite the draw, the 19,038 crowd saw the Swans hold onto their 4th place position in the league, whilst Cardiff slipped to 20th. Grimsby Town beat the Swans 2-1 in the Football League Fourth Division, as Robbie James scored a late consolation goal for the away side in this 4th v 5th in the table clash. Jeremy Charles scored twice as the Swans gained a valuable point at Hartlepool United in the Football League Fourth Division. Harry Griffith’s team maintained their 6th place position in the league. Current Swansea City and Poland international goalkeeper Łukasz Fabiański (B: 1985) celebrates his birthday on this day.